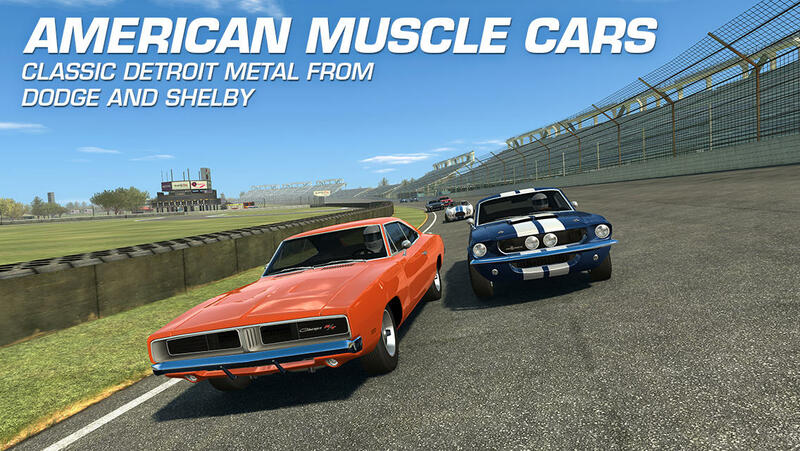 New cars — Dodge and Shelby add a collection of big V8 muscle cars to Real Racing 3. New events — compete in multiple challenging Series featuring a field of muscle cars hailing from Detroit. Difficulty tuning — faster and more accurate skill adjustment for even tighter competition. Visual physics enhancements — classic muscle cars come to life with realistic pitch and bodyroll. Improved cameras — enhanced sense of speed and motion yields a more authentic racing experience. Additional social networking options for enhanced Time Shifted Multiplayer and Cloud Save functionality. Real Racing 3 ‘Prestige’ Update Brings High-End Manufacturers and More! Real Racing 3 has introduced a number of new features driven to create a more competitive and streamlined gameplay experience in the :Prestige” update. This recent update brings all-new features to the game including new cars, a Time Trial mode as well as a cleaner user interface and updated career progression. In addition, racers can now get behind the wheel of brand new cars from Mercedes-Benz and Bentley and receive a Clean Race Bonus which rewards drivers for making it through races untouched. Time Trial Mode, the most requested feature, allows players to challenge themselves, their friends and more as they move up the leaderboard. Based on feedback, repairs have been removed and replaced with a Clean Race Bonus, focusing the game on rewarding good drivers instead of punishing the ones who don’t drive as well. Players will now also receive a daily bonus for the first race of each day and have the opportunity to earn bigger bonuses for consecutive days of play. With the new Career system, players will enjoy a clear linear path along with improved player matching for races which improves competition. With 1.7 billion races completed to date and 16 million races completed each day, fans can enjoy more than 55 cars and 1000+ events available to play. Entries (RSS) | Comments (RSS) | 90 queries in 1.304 seconds.